A new cooking show is now casting! Gordon Ramsay is bringing another great food show to television. 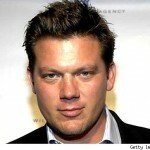 The show will be hosted by Tyler Florence of “The Great Food Truck Race” and other culinary shows. Teams of 2 will battle head to head to win a restaurant space RENT FREE for an entire year within a local mall. That grand prize can be worth 100 thousand dollars! The Food Network is now casting a new show called Food Court Wars. The new show is looking for teams who think they can put a great restaurant concept together and compete against other teams for a chance to win the show and get a free space in a food court to start their business. The show will be casting in Meridian, MS, Spartanburg, SC, Midland, MI, Burnsville, MN, Wausau, WI and Charleston, SC. At the moment, the show is only interested in teams from the cities listed above. Teams with pre-existing relationships (i.e. friends, family, couples, co-workers) who believe they have the winning formula to successfully run their own locally inspired and original eatery. If you and your team have a vision to open a successful food business then we want to hear from you! If you are interested you can apply through email. For more info on the show you can check the food network website.